Does your blog go on holiday around Christmas? I totally understand if you don't feel like writing or fiddling with your blog in the midst of the holiday celebrations. But if you write a few posts now, you'll have enough to tide you over until the start of the new year. You can schedule your year-end blog post now and keep getting traffic and engagement, while other blogs go on hiatus. 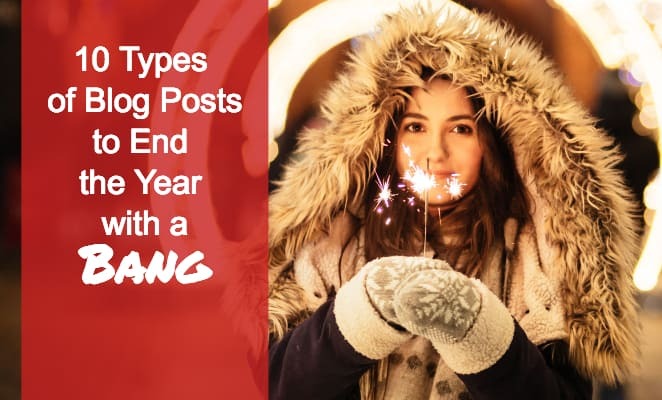 In this post, you'll find blog post topics that are just perfect for the end of the year. Some are super easy to write; others may take some research — unless you've kept your finger on the pulse of your industry (and you have, haven't you?). This is the easiest end-of-the-year post to write. Simply look at your blog analytics to determine which posts had the highest number of views. You could also pick the ones with the most number of comments, retweets, likes, or shares. 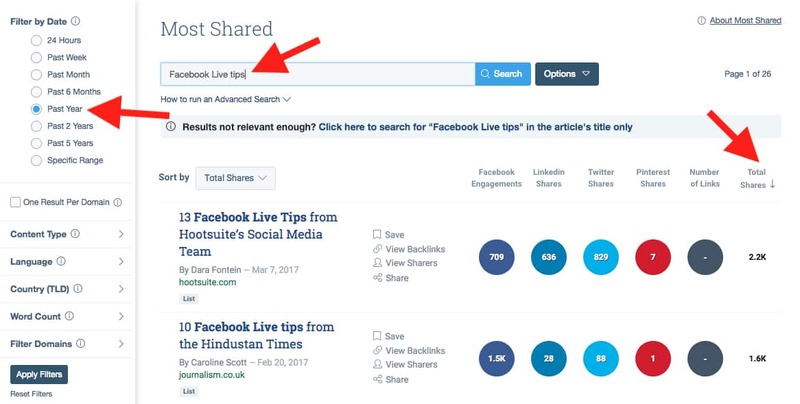 Along with the list of popular posts, include a brief summary and your analysis of why the post was popular among your readers. If someone had a magic wand and could grant you anything, what would you wish for? You could make this post strictly about business — talk about your hopes and aspirations for your market or industry — or you could make it personal as well. It all depends on the nature of your blog. Now is the perfect time to look back on the previous year and discern what it has taught you. Talk about lessons that would be useful and relevant to your readers, not just yourself. And share what circumstances made those lessons sink in. This is a generic topic you can adapt depending on which industry you're in. For example, if you're in fashion, you could write a post on the worst fashion, hair, or makeup trends of the year. As a copywriter, I could write about the worst email subject lines I received this past year. And so on. Type the topic in the search box. Under Filter by Date, select Past Year. Discover the most popular content based on the total number of shares or shares in a specific social platform. I always make a point of thanking people who've blessed me in some way. Sometimes, it's an author. It could be someone new I've met who's been particularly welcoming (as an introvert, this is a big deal to me) or anybody who has done something I appreciate. Doing this blesses everybody and generates plenty of goodwill. Similar to Time‘s man of the Year issue, your blog post could focus on a handful of individuals who have had a positive (or not, depends on you) impact on your industry in the past year. What are you most proud of accomplishing in the previous year? This could feel like self-aggrandizement, but if you craft it properly, it could be a way to share what worked for you in the year past. Write about accomplishments that are relevant to your audience, the goals they want to achieve as well. For example, let's say my accomplishment was increasing my list 10-fold, I would have to explain how I accomplished that. The result is a useful post for your readers. Appoint yourself as an award-giving body and recognize the best people, inventions, products, etc. For example, for my eco-friendly parenting blog, I could name The Best Parenting Author, Best Natural Products Manufacturer, Best Natural Health Blog, Best New Eco-Friendly Toy, etc. The possibilities are endless. Plus, it's fun to do the research for this type of post! Summarize the year that was. Point out the most significant events and how these have affected your industry or market, for better or worse. This post may take some time to research for, but it ties in nicely with a forward-looking post you could publish early next year. 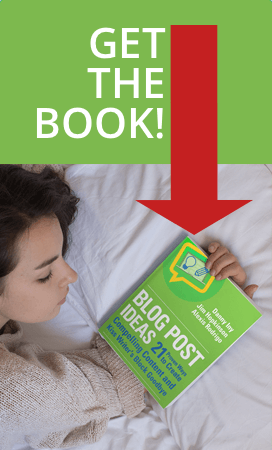 There you have it, 10 great blog post ideas for the end of the year, Spend a couple of days churning out your favorite ones, and your blog will be active, engaging, and useful to your readers — even if you're partying the rest of the year away. Which of these topics do you like best? Which ones will you write on your blog? Let me know and, while you're at it, post a link to your blog so we can all take a peek at how you implement these ideas. Great inspiration for a new blogger. Thanks! Glad you found it useful, Angie!